Let everyone's favorite reindeer guide your family sleigh this season! 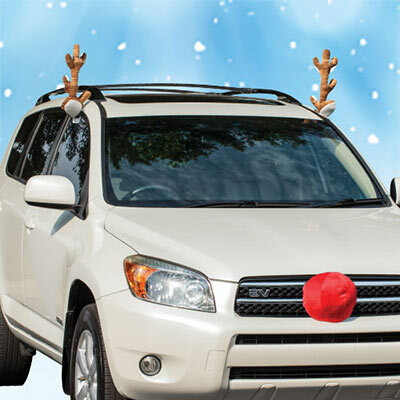 This Reindeer Ride Car Decoration includes one plush red nose and two antlers. Easy to attach and detach so you won't damage your car. Durable, weather resistant polyester. Imported. Nose, 5½" dia. ; Antlers, 16"h. Set of 3. Hurry! Quantities are limited!